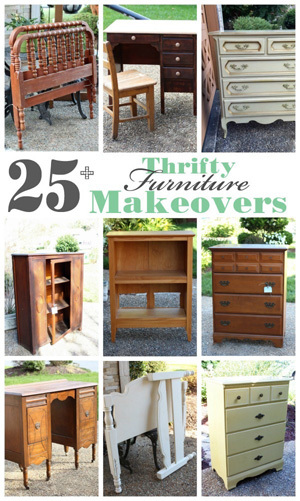 Can you believe we are on our 25th thrifty makeover this month? 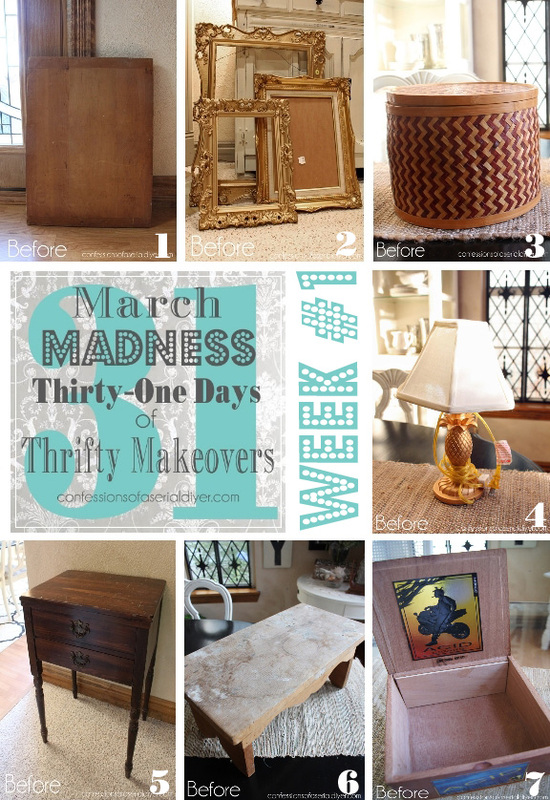 If you missed any of my March Madness makeovers, I end each post with all the links at the bottom. 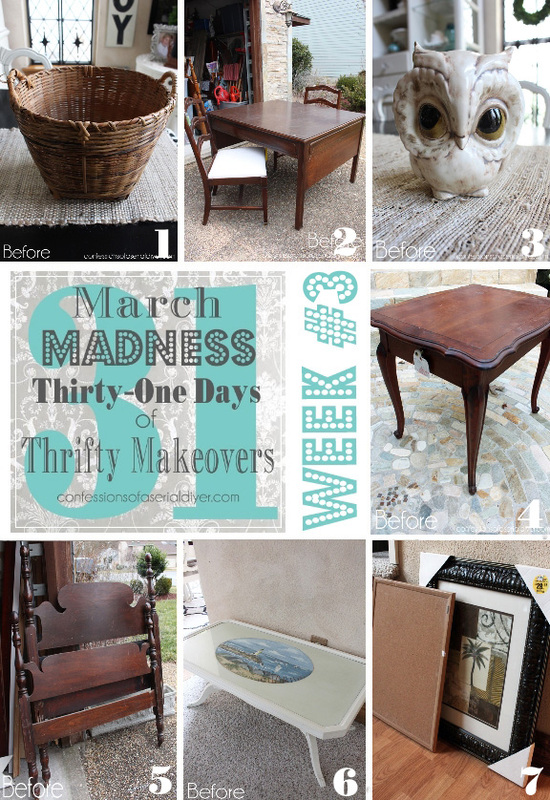 Are you ready for a sweet makeover? 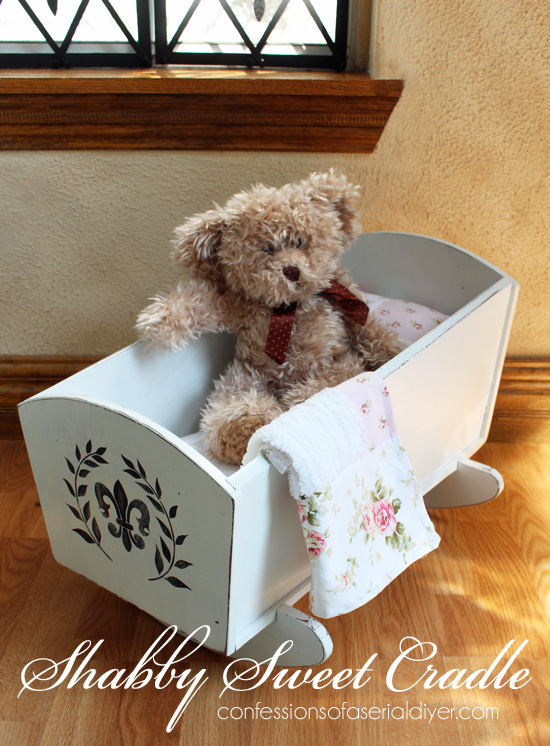 I picked up this doll cradle at a yard sale for $2 two summers ago, and its been sitting in my garage ever since! I have boys, so I never went through the doll phase with my kids. 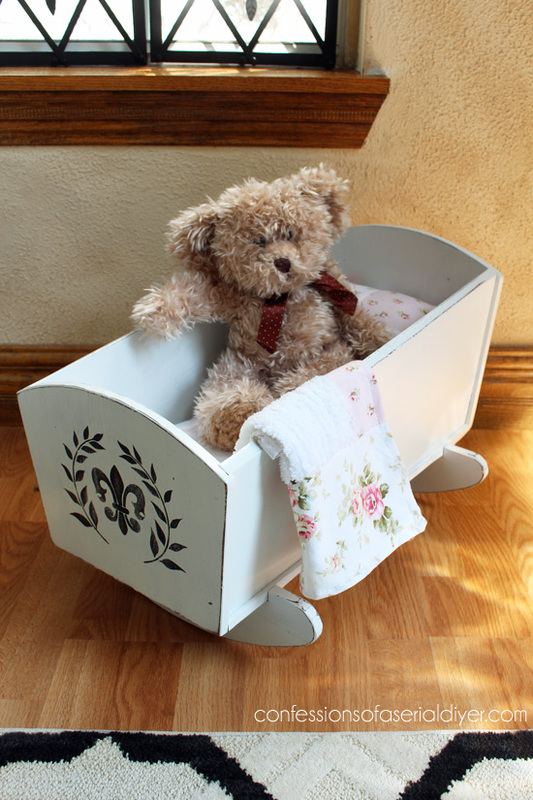 The cradle was painted with a coat of spray primer first, then two coats of Rustoleum’s Blossom White spray paint. 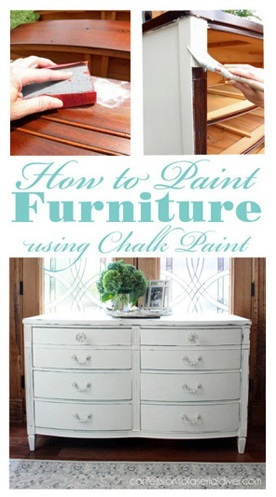 I usually prefer chalk paint, but for a simple small project like this, the spray paint worked great. 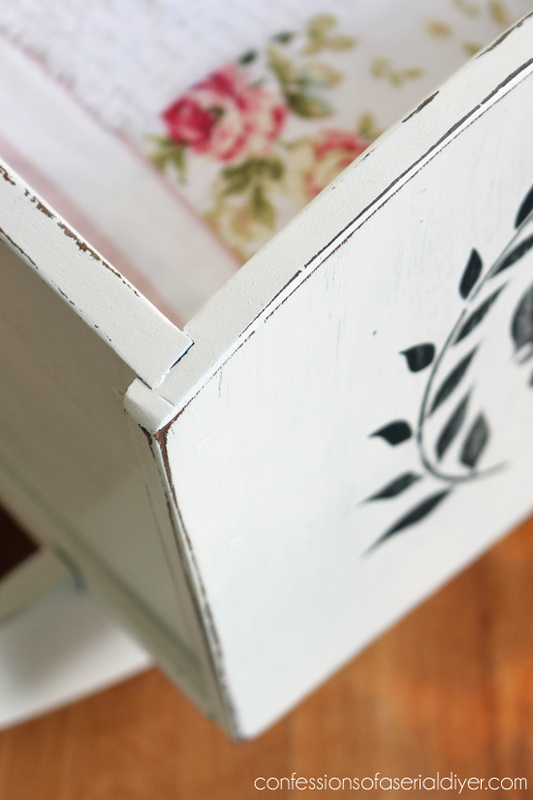 I sanded the edges like I usually do to shabby it up just a tiny bit. 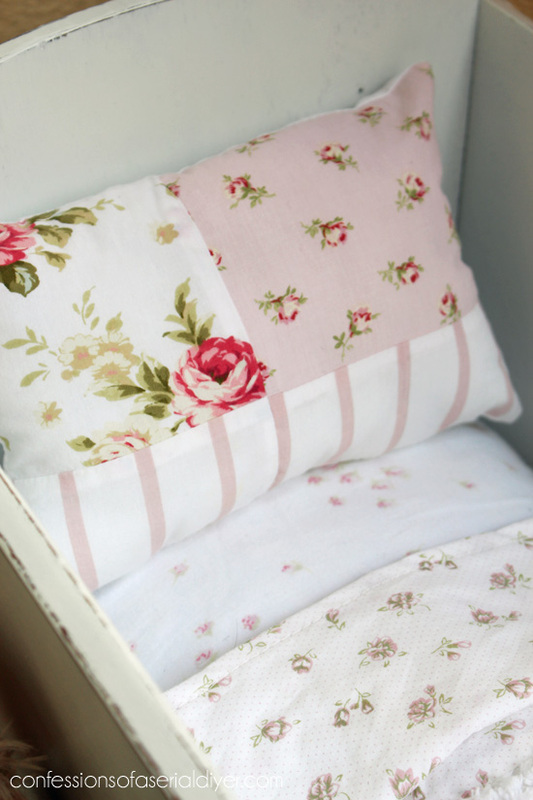 How about those super sweet bed linens? 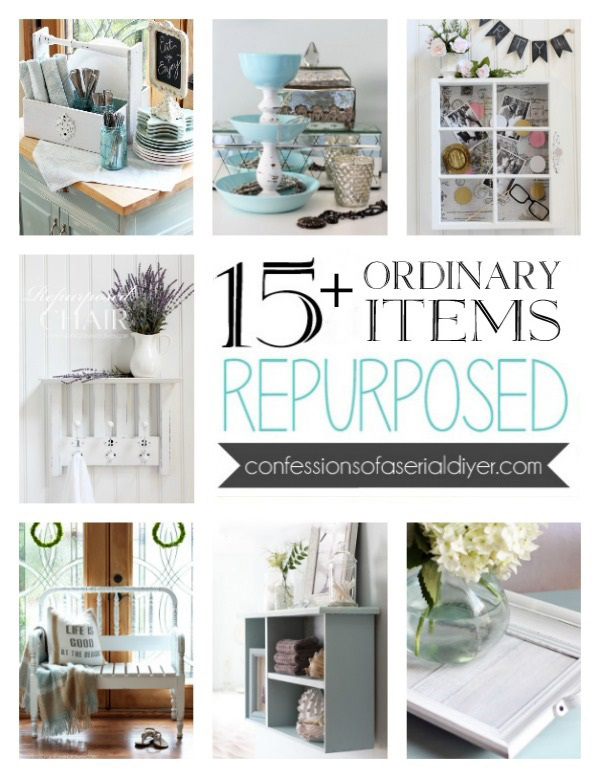 They also started out as thrifty finds! I found the shower curtain at a yard sale not long after I found the cradle, and thought it would make a great quilt. The sheet was a thrift store find a couple of months later. I originally planned to redo the cradles (I have one more) for my last show, the Christmas Market in 2013, but never got around to them. 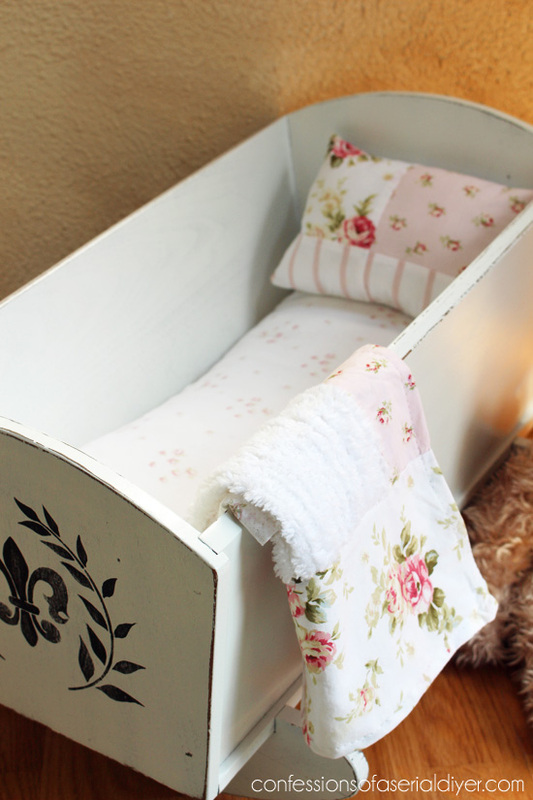 For the “mattress” I used a really flat feather pillow form that was always more flat than I liked…perfect for a doll cradle mattress! 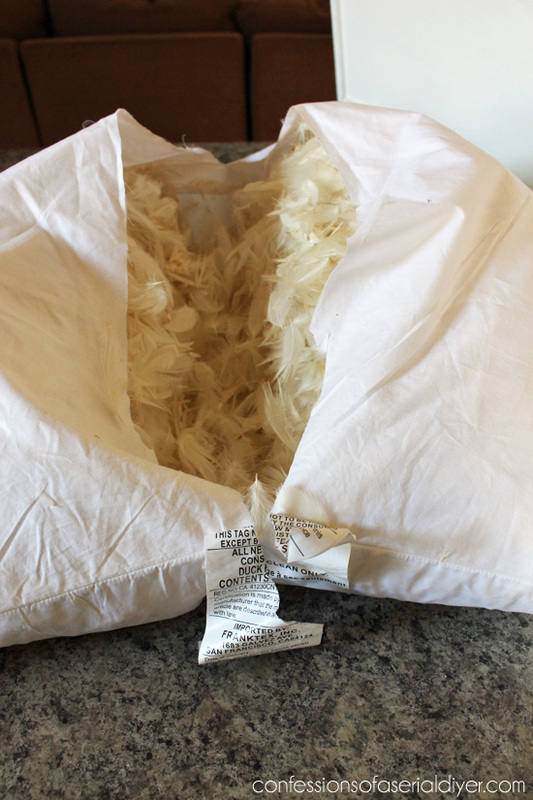 Ever wonder what a feather pillow looks like inside? There you have it. I cut it in half and tried not to send feathers flying all over the place! 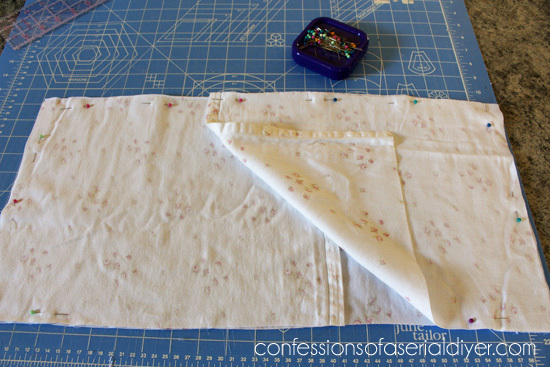 I sewed it up one side and then made a cover for it with the sheet. I made it like an envelope pillow cover so it can be removed for washing. 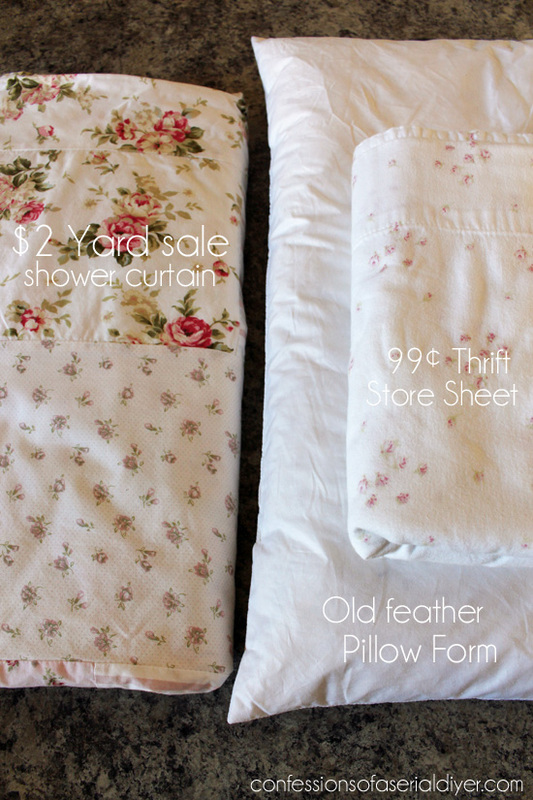 I made the quilt from the shower curtain, as well as the pillow. I want to crawl in there myself and be rocked to sleep. 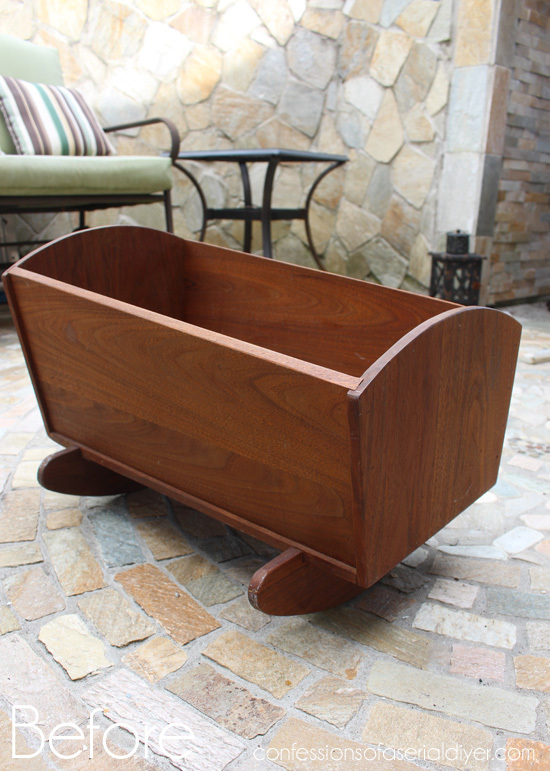 Wouldn’t it be great to have an adult sized cradle that rocked?? Then again it might make me motion sick! It looked too plain without something on the end, so I decided to give this new stencil I just bought a try. I always hand paint my graphics so this is new territory for me. 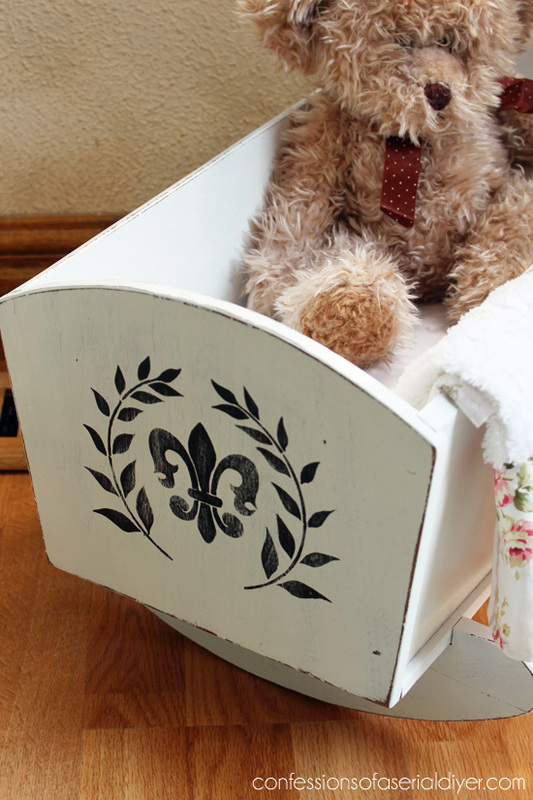 I used spray adhesive to adhere to the end of the cradle and used a small paintbrush to paint the graphic in. 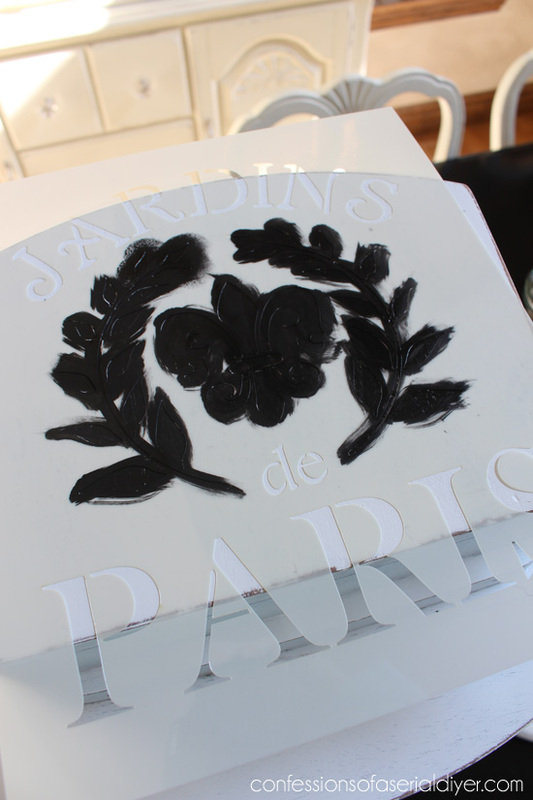 I’m not a fan of the stippled look you get with a stencil brush or dauber. 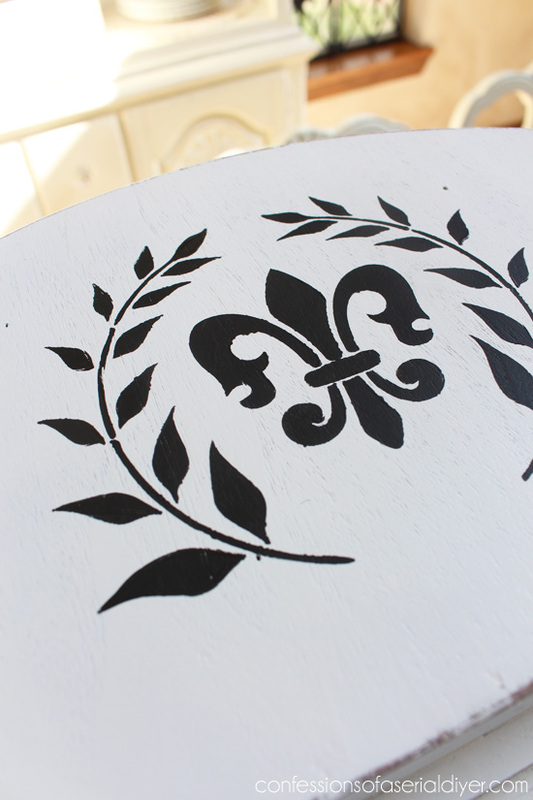 When I removed the stencil, it wasn’t perfect, but not bad at all. I took my liner brush and some black acrylic paint and went around the edges to smooth everything out. I had already started on a few of the leaves on the bottom. I gave it a light sanding when it was thoroughly dry, and sealed it with clear soft wax. This was so much quicker than hand-painting in the entire graphic like I usually do! 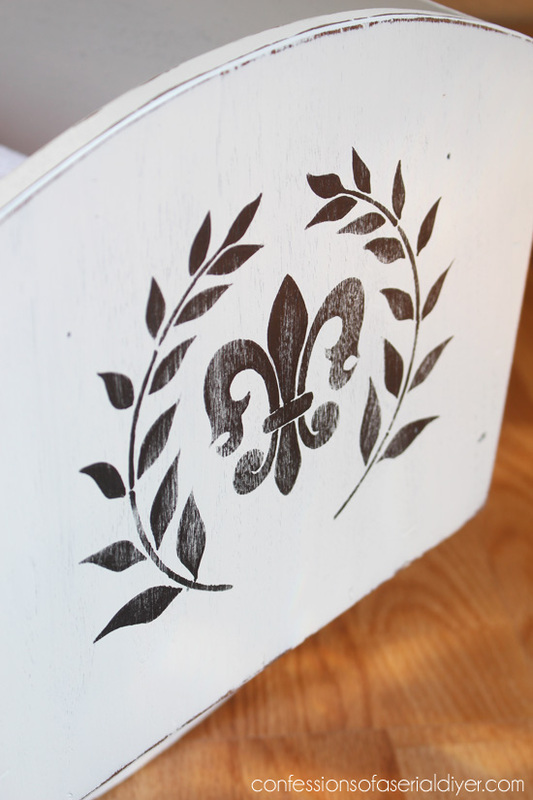 I bought this and two others from Artistic Stencil Designs. This one was $14. Unless you think Woody is doing a better job? He and Batman were fighting it out and Woody won. Who knew Woody could beat Batman? lolololol….I LOVE WOODY in there!!!!!!! Nighty nite partner!!! Hey that .99 cent sheet is on my bed right now!! !….I paid a lot more then .99 cents!!!! 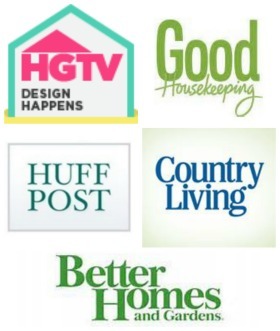 Love this series….You’re rocking it!!!!! Sweet cradle for some sweet little miss!!! Thanks, Addie! 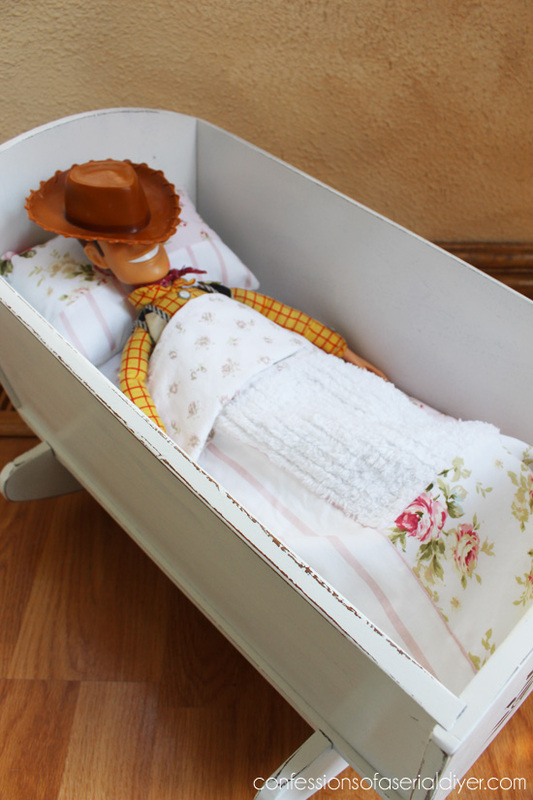 Woody is still in there, he slept like a baby lolol! I am loving the March Madness, I don’t want it to end! Everything you have done is simply stunning! Lovely! You are soooo talented! Of course Woody would win. 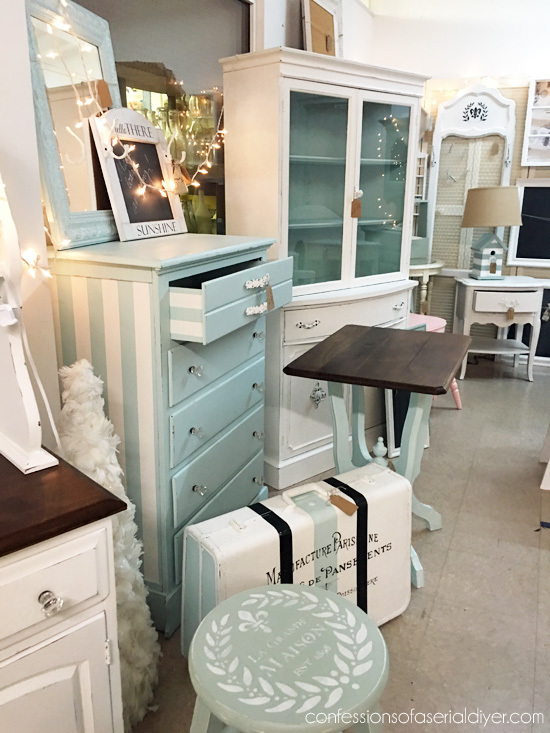 Sweet makeover! I knew Woody could beat Batman. He’s the best!!! I have two grandsons so I know all about Woody and Batman. 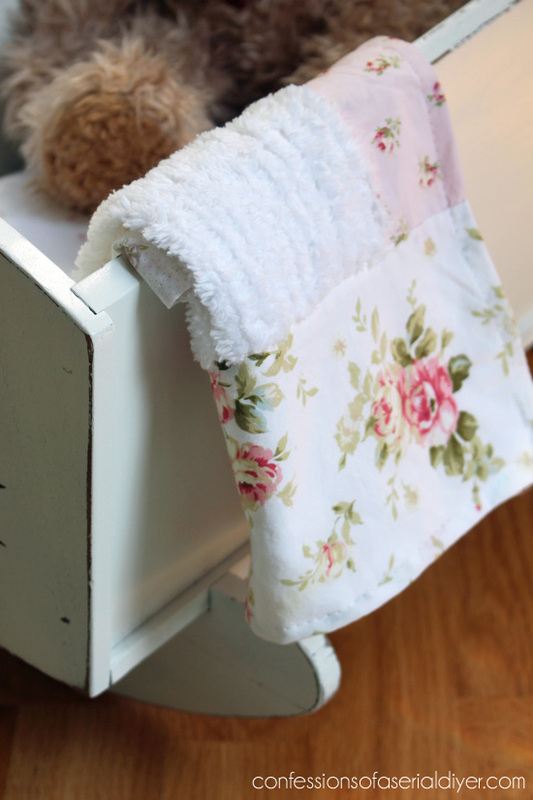 The cradle is adorable by the way!! Woody is being a girly-man! Ha! I still love that bear. And what you’ve done with that cradle is soooo adorable! 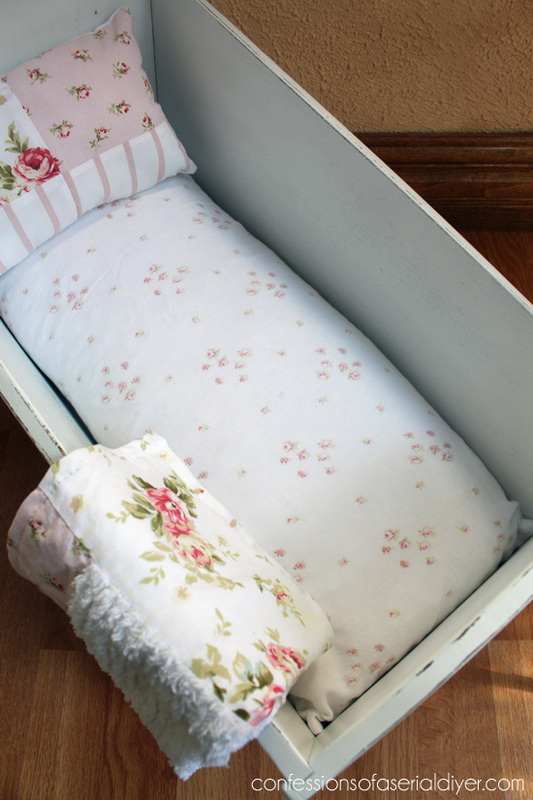 Almost makes me want a granddaughter so I can do something like this with the cradle I have! Oh wait. Did I just say that? No I did not. I’m not ready!!!! Okay, I need to go back to bed. Clearly it’s been a stressful morning already. Wow! I am having the bestest (is that a word? lol) time this month. you totally inspire me. 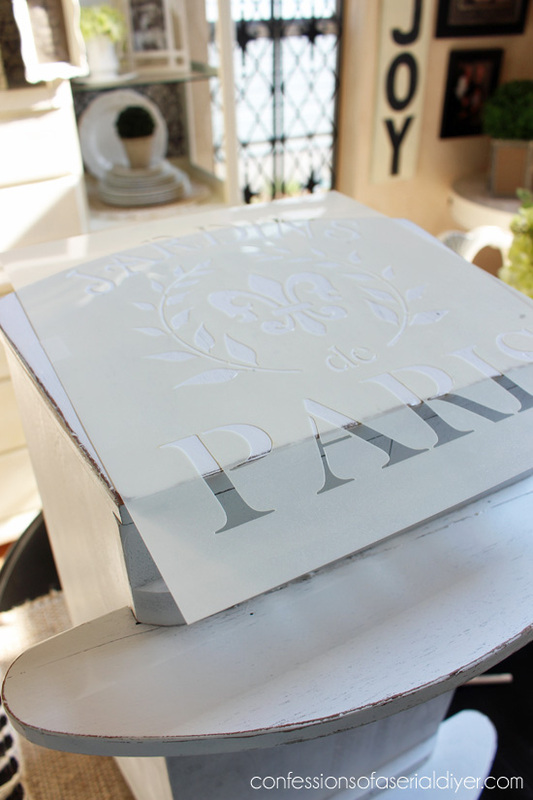 I was wondering where did you get the stencil, was it online or at a particular store. Keep up the good work and God bless you and yours. That cradle is rock’n (sorry, couldn’t resist)! Love the makeover you gave it and the stencil but the linens you made are SO pretty…too pretty for Woody, although he looks very comfortable. 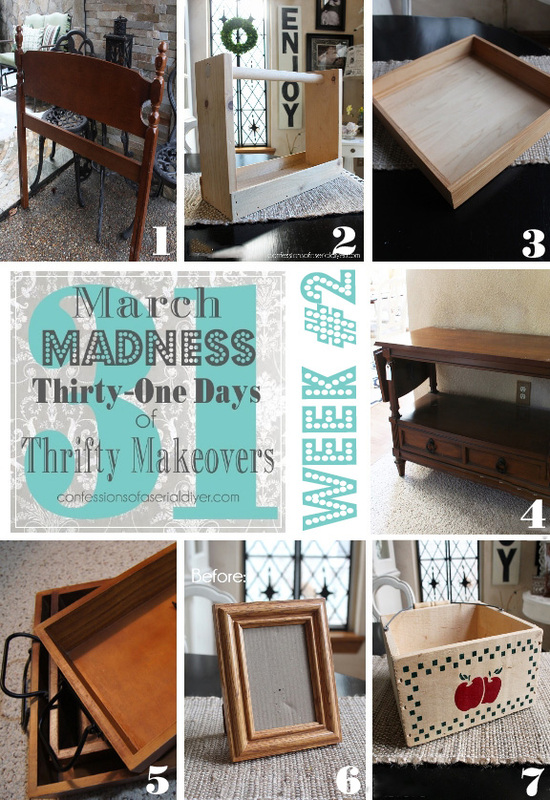 I just don’t want March to end! 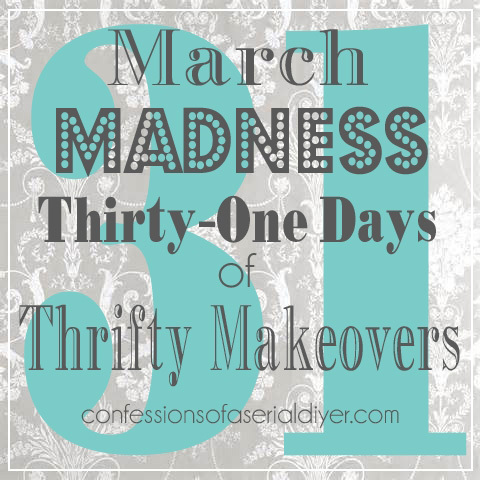 I love going to my email each morning to see what fabulous makeover you have for the day! You are so creative and talented! So sweet! 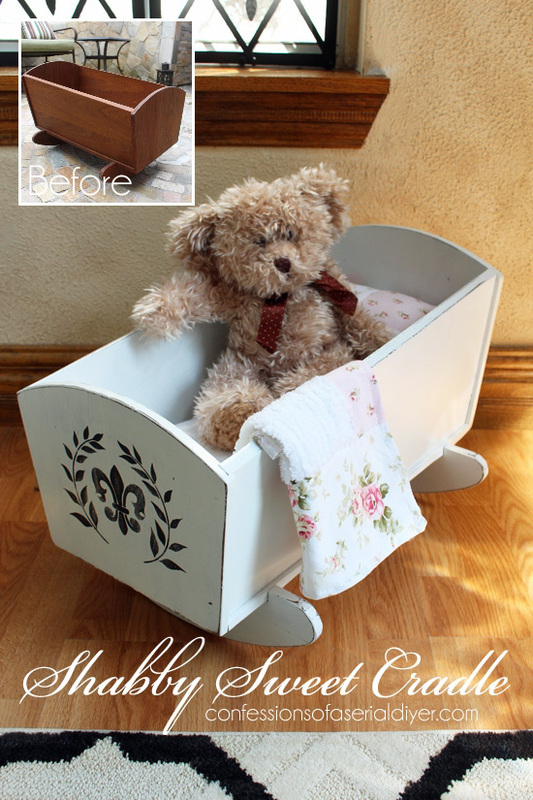 Now a cute vintage baby doll or porcelain one would be perfect! I love the cradle! I, too have boys, grown boys now with their own children. 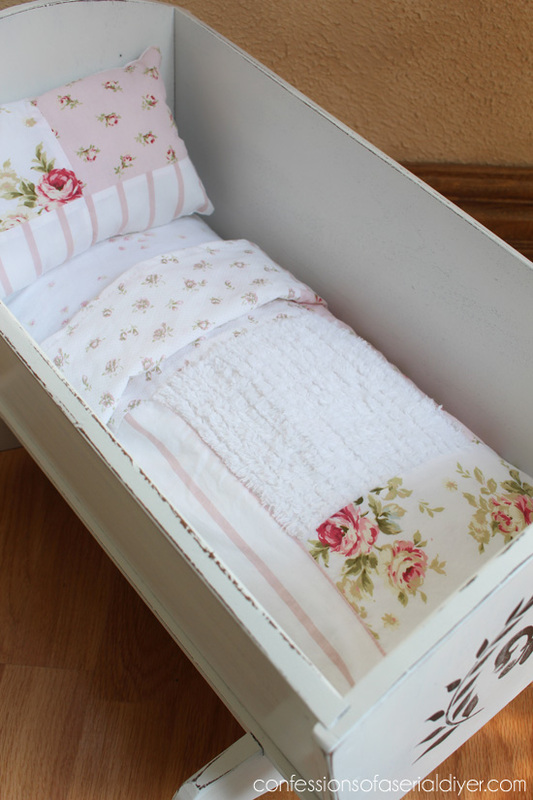 I have a doll cradle from my childhood. I now have 2 granddaughters that will soon be at an age to play with the cradle so soon I will be getting bringing it down from our crawl space for them to play with. It may need some updating!